On the 14th (Sun), admire the natural beauty at Roma Street Parkland and then get your game on at Zoccer Sports - Bubble Soccer. On the 15th (Mon), you'll have a packed day of sightseeing: look for all kinds of wild species at Lone Pine Koala Sanctuary, get great views at Mount Coot-tha Lookout, and then find something for the whole family at Wheel of Brisbane. For reviews and more tourist information, go to the Brisbane road trip planning app . Auckland, New Zealand to Brisbane is an approximately 7-hour flight. You can also do a combination of flight and train; or do a combination of flight, bus, and train. Due to the time zone difference, you'll gain 2 hours traveling from Auckland to Brisbane. When traveling from Auckland in April, plan for a bit warmer days and slightly colder nights in Brisbane: temperatures range from 30°C by day to 19°C at night. Wrap up your sightseeing on the 15th (Mon) early enough to travel to Sydney. 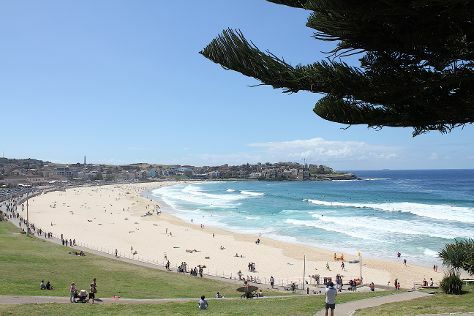 Attractions like Bondi Beach and Sea Life Sydney Aquarium make great kid-friendly stops. There's much more to do: take in nature's colorful creations at Royal Botanic Garden Sydney, engage your brain at Powerhouse Museum, take a stroll through Darling Harbour, and tour the pleasant surroundings at The Opera House to the Botanic Gardens Walk. You can fly from Brisbane to Sydney in 4 hours. Alternatively, you can do a combination of bus and flight; or drive. Expect little chillier weather when traveling from Brisbane in April: highs in Sydney hover around 26°C, while lows dip to 17°C. Finish your sightseeing early on the 19th (Fri) so you can travel to Melbourne. 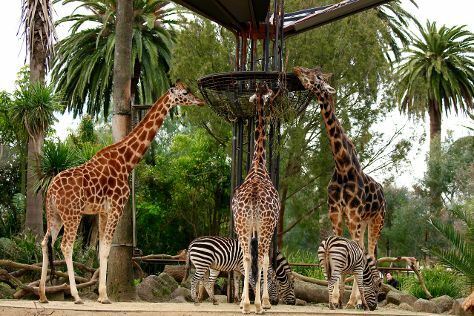 Kids will enjoy Melbourne Zoo and Fitzroy Gardens. There's much more to do: admire the natural beauty at Royal Botanic Gardens, make a trip to Royal Exhibition Building, examine the collection at Melbourne Museum, and take in panoramic vistas at Eureka Skydeck 88. To find reviews, where to stay, ratings, and tourist information, use the Melbourne travel planning tool . Getting from Sydney to Melbourne by flight takes about 3.5 hours. Other options: do a combination of flight and shuttle; or drive. In April, Melbourne is little chillier than Sydney - with highs of 23°C and lows of 11°C. Wrap up your sightseeing by early afternoon on the 23rd (Tue) to allow enough time to travel back home.